Today’s announcement of the Nobel Prize in Physics, awarded to researchers Rainer Weiss of the Massachusetts Institute of Technology and Kip Thorne and Barry Barish of the California Institute of Technology, bears University of Wisconsin System connections. The three researchers led an extensive international team, known as the LIGO Scientific Collaboration, that discovered ripples in space-time called gravitational waves. The existence of such waves was predicted by Einstein a century ago. University of Wisconsin–Madison and University of Wisconsin–Milwaukee researchers played a role in this “discovery that shook the world,” as the Royal Swedish Academy called it. 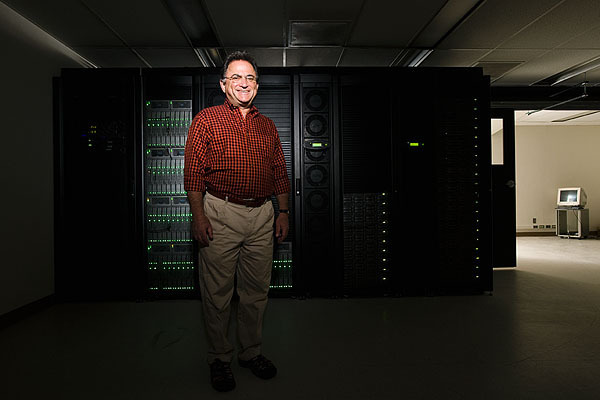 UW–Madison’s contributions have been on the computing side, and UW–Milwaukee’s on physics and computing. UW–Madison’s HTCondor High-Throughput Computing software served as the computing infrastructure for managing the analysis of the data collected by the two detectors of the LIGO observatory. In high-throughput computing, massive tasks are made possible by breaking them down into smaller jobs that can be run on thousands of networked computers. Condor ran complex data analysis workflows on computing resources throughout the U.S. and Europe, encompassing computational tasks from about 700 researchers. LIGO adopted the HTCondor software about 15 years ago, and LIGO has recently become a user of the Open Science Grid, for which Livny is the principal investigator. Open Science Grid depends heavily on Condor technologies. The UW–Milwaukee and UW–Madison partnership stretches back more than a decade, and involves a 29-member team of researchers at UW–Milwaukee.